Many religious traditions hold working for peace as central to their belief systems. For many believers, rejecting militarism and embracing peace is a fundamental part of their worship or spiritual journey. Our spiritual reasons for opposing the arms trade are as diverse as our religious traditions and personal spiritual paths but we come together united by our belief in peace. 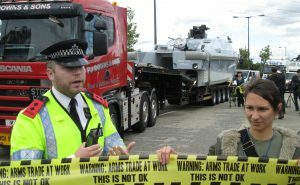 During the Week of Action against DSEI in 2019 we are planning a day of action on Tuesday 3rd September to say we have: ‘No Faith in War’. 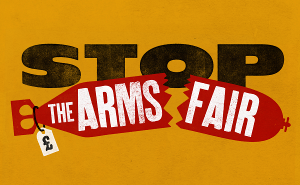 This will be a day for people of any faith, or none, to use their spiritual practices and heritage to resist the arms fair non-violently. All are welcome and we hope that everyone will stand in solidarity with each other’s actions. It is a day to respect and value what each tradition does to act for peace.